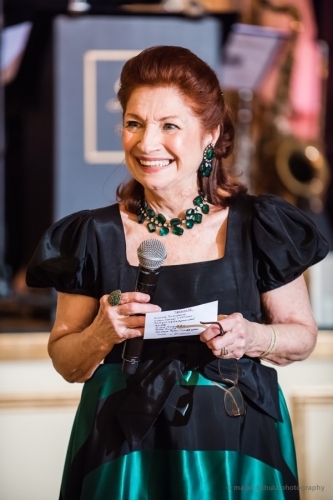 "Many years ago, in 1966 be exact, I was called by Dr. Igor Holodny the Chairman of the Society asking if I would be the chairperson of the Petroushka Ball, the most important annual event, for not only raising funds but making people aware of the charity and its mission to orphaned and disadvantaged Russian children. I was of course thrilled and honored at the invitation, helped to organize and attended the Annual Petroushka Ball for years, being married to a Russian American, myself I am not Russian. After chairing the Ball, I was invited to be on the RCWS Board. Another true honor. When my husband Vladimir (Wally) Fekula retired from Wall Street, he joined the RCWS Board and soon after became the President. Upon his death 4 years ago, I was voted by the Board to be the President. With my connection of so many years to the charity, RCWS mission means a great deal to me and I hope after you get to know us and all the charitable work we do, you will join our community. Together we are a powerful force." Since its foundation in 1926, the Russian Children’s Welfare Society (RCWS) has been a fundamental source of support for Russian children at risk and in crisis. The Society was founded by a small group of émigrés whose mission was to help the thousands of people fleeing Russia after the Bolshevik Revolution. Among these refugees were thousands of helpless children. These children would become the focus of the RCWS’s efforts throughout the first 70 years of its activity. With the fall of the Soviet government, the RCWS began helping disadvantaged children in Russia, where our mission remains crucial today. Thanks to the generous donations of our sponsors, the RCWS has been able to provide medical and social welfare assistance to Russia’s neediest children. All of our administrative costs are covered through internal sources, and 100% of donations go directly to support disadvantaged children. - hosting an annual Christmas “Yelka” party, where over 1,000 orphans from many areas of Russia celebrate an unforgettable day in Moscow. During the 93 years that we have been in existence, RCWS has remain non political and it has been our goal to foster individuality and independence among thousands of underprivileged youth. But these children need a foundation from which they can grow, and our financial support is an investment in their future. Your gifts are tax deductible as RCWS holds 501 (c) 3 non profit organization status. Please visit our “take action” tab to learn of the many ways you can get involved.